» Can my D9 property sell for 2.5 million dollars? Can my D9 property sell for 2.5 million dollars? One of my early retirement plan was to invest in a District 9 property that costed 1.7 million dollars and will hopefully appreciate to 2.5 million dollars within the next 10 years. If that happens, I will sell it and retire in Malaysia with more than a million dollar cash + a few hundred thousands in CPF which I can only withdraw when I am over 50 years old. The 2.5 million is the magic number. My real estate friends warns me that this might not be possible. I knew that it is a not a 100% guarantee but I need to take that risk in order to have at least an additional way to achieve early retirement. No pain no gain right? This property has just been TOP so I am starting to see some price movement in the right direction. 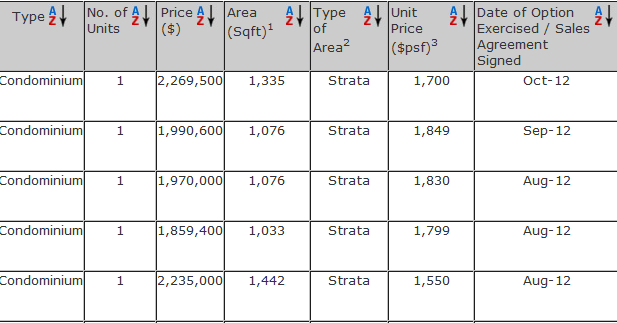 Below is the most recent transacted prices of my condo. I own the smallest unit of around 1076 sqft. According to the chart, these units are selling between 1.85 million to almost 2 million. So already a paper gain of between 150k to 300k within 9 months. A good sign! Downtown MRT line: Due to the downtown line, there will be a MRT station (Fort Canning Station) within 3 mins walking distance to my condo. When that is completed in 2016, I expect a price increase between 100k to 150k as people value properties that are within walking distance to the MRT. Singapore One Project: There is a group called the Singapore River One (SRO) that wants to promote Singapore River as a must see tourism destination. 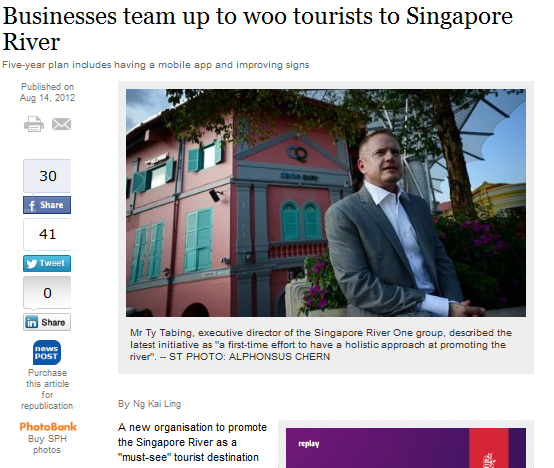 This group comprise 20 businesses operating along Singapore River so there is a natural incentive for them to do that. In fact, there is already a website and app being available to kickstart the 5 year plan. 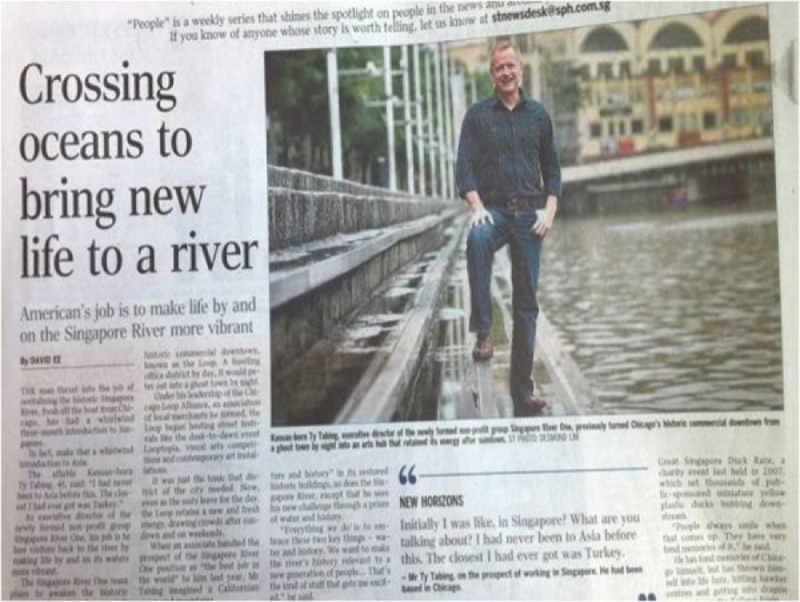 Since my property is beside the Singapore River, I am sure it will experience price inflation from the increased vibrancy in this area. Population Increase: The biggest driver of property prices is population growth. Since the Prime Minister has already committed to increasing Singapore population from 5 million to 6 million within the next few years, it will sustain the price increase as there will be additional housing demand coming from these new immigrates. 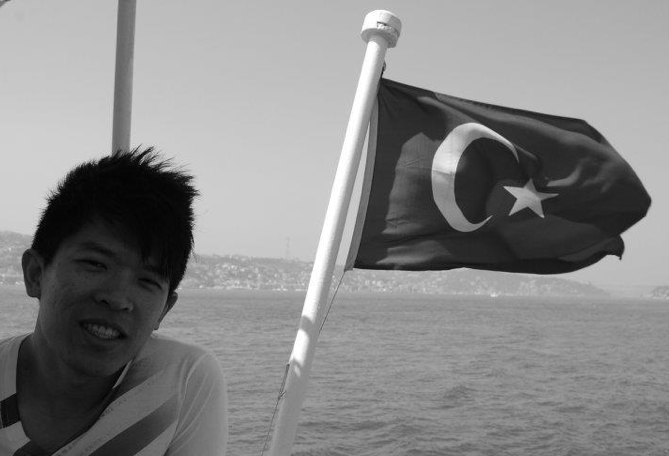 FTE agreement: It is expected the Singapore will be signing a new FTE agreement with Europe which allows people working in the Finance sector to purchase homes in Singapore without the tax. I believe this will drive prices up especially housing in prime areas. Recession: Any sign of recession and there will be possibility of a price drop. However, since I am buying to stay, I am not fearful of such short term price decrease as long as I am confident the longer term direction is up. Price bubble: This is my biggest fear as I am not sure whether the price I paid is reasonable or already carries a price inflation that is not in line with its intrinsic value. If there indeed is a bubble and it bursts, then I can kiss my early retirement goodbye.